Records show that summer seasonal services were held in the Grand Hotel des Bains in 1885. A chapel, named St. John the Evangelist was built in the neo-gothic style in the grounds of the hotel and inaugurated on 21 June 1888. The chapel could seat 70 to 100 people. After the second world war, The hotel was sold to the Commune of Aigle and was demolished in 1947. 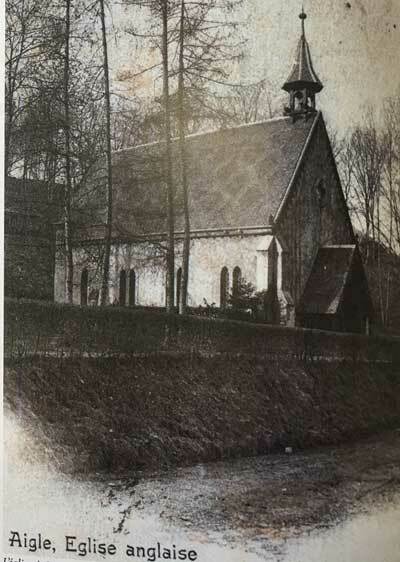 The church was closed in 1914 and by 1947, after the demolition of the hotel, the building was used for storage. In 1986, the church was demolished following a fire that took place during works on the roof.